I studied D&C 8:2-3 and 9:7-9 this past week. Lots of these scriptures have had a lot to do with living so that we can stay in tune with the Holy Ghost which then allows us to come closer to Christ by having peace, comfort, and guidance consistently throughout your day. This passage also teaches that, BUT it also touches on the fact that WE HAVE AGENCY. So why is that important? We came to the earth because we CHOSE to follow Christ's plan which meant we would be sent to a fallen world where every person makes their own choices. Yes, that means we can make poor choices, but it also means we can choose good! Most importantly, it means that we can choose whatever we want to do when we are given two GOOD options. Whatttt???? Yes, it's great to seek guidance through prayer and listening to the still, small voice of the Holy Ghost, BUT God granted us agency and would like us to seek knowledge for ourselves to make our own choices. I loved studying this because my Sunday School class has been studying the Plan of Salvation and more specifically, agency, lately and they have soooo many good questions. They always stump me! I gained some great, personal insights from these scriptures, so I hope you did, too! The next scriptures to study are Moroni 10:18-23. I went ahead and read these verses and I already know this is exactly what I need right now! I was seriously just talking to my husband about it last night! How appropriate that I am finally getting around to this post on Valentine's Day. This past week I studied Proverbs 31: 30-31. Yes, the focus is on being in the world and not of the world, BUT what I got out of it was how important it is to recognize and appreciate the love my husband shows for me. My husband (and I'm sure most fathers) do SO MUCH behind the scenes that goes unrecognized. This past week we discussed some things that we both feel like we NEED in our relationship and then we tried our best to meet those needs for each other. I can honestly say I am so in love with Jake! What is so neat to me is that what makes me love him most is when I serve him, not necessarily when he serves me! Although, I definitely love that, too. So yes, I do believe it is important not to get caught up in the vain things of the world, but for me, this week's scripture helped me see that because I fear the Lord and work hard to be a good eternal companion to my husband, I shall be praised! So Happy Valentine's Day. May you feel loved by your Father in Heaven through how you show that love to others! This week I will be studying D&C 8:2-3 and 9:7-9. These verses, again, are a lot about listening to the Holy Ghost and trusting in God's plan for you. How great is it that God already has a plan for us to be happy. All we have to do is follow Him! Enjoy studying and I'll meet ya back here next week! Week 4 was Alma 5:14-16 and I was inspired to apply this passage to how I parent. Cohen has gotten a little extra aggressive lately...He has always play wrestled with me and Jake, but holy cow, he has started playing so rough with friends and even kids he doesn't know! I have been working on talking with him to calm him down and talk about feelings more. For example, helping him notice how he is making other people feel when he treats them too rough. It is amazing to watch him have a change of heart and go over and pat the other kid on the head or share his toy with them. I'd say there's about a 60% success rate right now....but that is a huge improvement already! Anyway, this scripture passage talked about the importance of following God's plan in order to find happiness in life. I feel like, in a small way, I am able to teach Cohen that principle as we figure out this whole terrible twos phase. In the bigger picture, as we seek God's influence in our life, he blesses us with guidance, comfort, and knowledge. And as we follow him, we assure ourselves an eternity of joy with Him after this life. What am I doing to help build the kingdom of God on the Earth? Is faith still faith without works? This week's passage of scripture was 3 Nephi 13:14-21. This section is full of beautiful words and meaning, but I kept noticing that my attention was only drawn to the first two verses which focus on forgiveness. How can I expect to be forgiven if I don't have a forgiving heart? Sure, maybe I forgive people here and there, but, as a whole, am I a forgiving person? Well, this week I learned again what I already knew. No, I am horrrrrible at forgiving. I ended up having a nice long talk with God on Sunday. It was very overdue and much needed. I cried out in prayer to Him for help with the things I've been struggling with. I asked repentance for the first time in a long time. The longer I prayed, the more I felt my heart softening. I sat alone in the quiet with no expectation for a response. But it came. It was exactly what I needed in that moment. And so, I encourage you to do the same. Before you get to a point of desperation like me, continually go to your Heavenly Father in prayer. I need to better at asking forgiveness. I need to be more humble. I need to be a lot of things! But what matters MOST to me, is nourishing the relationship I have with my eternal companion. 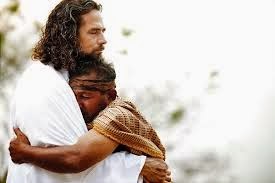 And how would I even have that without the atonement of Jesus Christ and the forgiveness of my Father in Heaven? Though this still relates to the rest of the passage which says, "For where you treasure is, there will your heart be also." I would love to hear what other thoughts you had on the verses, so let me know! Next week's passage is Alma 5:14-16. Enjoy the reading! This week's scripture was John 14:23-27. I broke apart the verses and found some helpful principles within them. Verse 23: Jesus answered and said unto him, If a man love me, he will keep my words: and my Father will love him, and we will come unto him, and make our abode with him. Verse 24: He that loveth me not keepeth not my sayings: and the word which ye hear is not mine, but the Father’s which sent me. These words are not just the Savior's, but come straight from God. So listen up, Anna! And be obedient! Verse 26: But the Comforter, which is the Holy Ghost, whom the Father will send in my name, he shall teach you all things, and bring all things to your remembrance, whatsoever I have said unto you. Verse 27: Peace I leave with you, my peace I give unto you: not as the world giveth, give I unto you. Let not your heart be troubled, neither let it be afraid. This verse is so powerful to me. In the midst of a frustrating and confusing situation, I was able to go to bed every night last week feeling peaceful. Reading this last verse everyday reminded me that there is no need to have fear about the future. 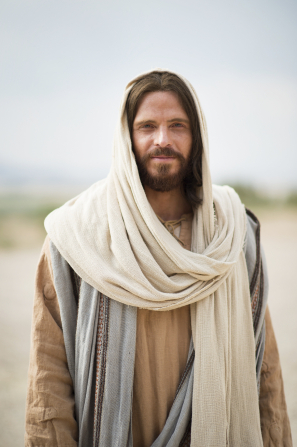 Our Savior's atonement provides us with anything we could possibly need to have joy in this life. And the next! Please share any insights you gained! Is the Lord first in my life? How can the Savior help me improve my thoughts and attitude? Am I too busy with worldly matters and neglect what's important? At church we are sticking to a 12 week reading schedule to help us develop a more personal relationship with our Savior. Each week we focus our study on a scripture or passage of scriptures that is provided. We ponder what that scripture means to us, write down our feelings, and answer questions that are provided as we feel prompted. Last week's scripture was Helaman 5:12 in The Book of Mormon. 1. How do I show love for the Savior? 2. How can I seek the guidance of Christ more in my life? 3. How/Who does the Lord want me to serve? 4. Am I seeking Christ's help in all things? 5. Where does true happiness come from? Do I have it now? Am I even showing the Savior I love him at all? How foolish of me not to be seeking His guidance more in my daily life. Are my eyes open to ways to serve others? How can I rely on Christ more in how I mother Cohen and how I love my husband? By making this small change in my daily study, I have already noticed a difference in how much patience I have with my little boy who is just figuring out life. Tantrums and his need for independence can be so frustrating, but as I turn my focus to how the Savior would love him, I find more joy in overcoming those little bumps in the road with him. That has been a big change from how I previously felt during fits or fights! For more tips about parenting in a Christlike way, follow @simplyonpurpose on Instagram. This week's scripture is John 14:23-27. Feel free to join me as I study this passage everyday! I have been majorly FAILING at doing a real FHE with Cohen. Partially because, come on, he is only barely 17 months. BUT! I want to get in the habit of doing lessons for him now so when he starts nursery next month and gets a little older, maybe he's a little bit more used to sitting still and learning about Jesus! He has started folding his arms when we pray or tell him it's time for prayer (melts my heart every time), so I'm hoping this is (somewhat) successful. I found a bunch of different resources online for child/baby/toddler FHE lessons, so I'm taking inspiration from those and putting my own spin on them, too. Today's lesson was mostly inspired by the blog News with Naylors who also posts tons of educational lessons and recipes! Scripture: John 3:5 In order to live with Heavenly Father and Jesus again, we all must be born of water which is called being baptized. Jesus sets a perfect example for us because he was baptized, too! Video: Point out that Jesus was baptized in the River Jordan by John the Baptist. Testimony: Share a memory from your baptism and bear your testimony. Activity: Put 1 cup of water in a clear glass and add a few drops of food coloring. The food coloring represents sin. Then pour 1 1/2 cups of bleach into the water and explain that when we are baptized our sins are washed away! Wife, momma, and brand new stay-at-home mom searching for things I'm passionate about. Probiotics: What is the Best Option For You?